Sunny grooves with a fantastic sound – music that echoes some of our favorite Italian soundtracks of the 60s and 70s – but most of it previously unreleased! The work here is from undertapped sources of the period – not some of the oft-compiled songs from the Italian soundtrack/sound library reissue scene of the past decade or two – but instead lots of fresh tracks that really throw open the gates – with strong quality tracks that are awash in lots of groovy elements! Music is both acoustic and electric, often with a fair bit of jazz or bossa nova influences – and in contrast to some sound library collections that go for the darker side of the spectrum, these tracks are all as warm as you might guess from the title. 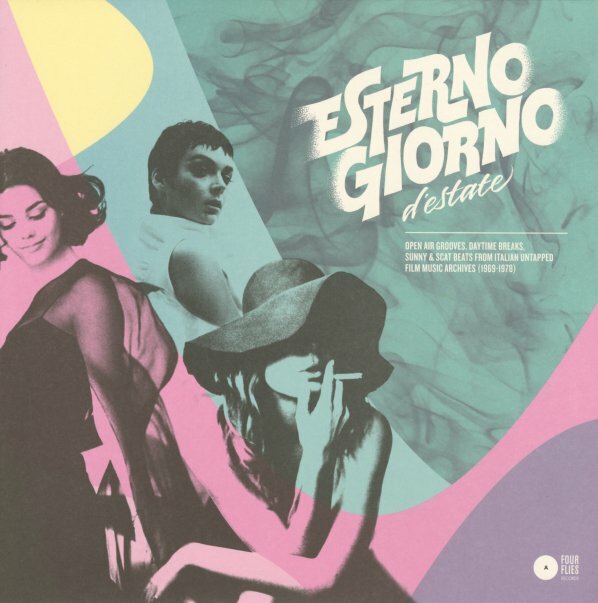 Tracks include "Don Milani" by Alessandro Alessandroni, "Cugine Mie" by Nico Fidenco, "Gideon" by Alberto Baldan Bembo, "Camorra" by Manuel De Sica, "Pensiero D'Amore" by Mario Migliardi, "Gisposta A Tutto" by Gianni Marchetti, "Mondo Di Notte Oggi" by Gianni Oddi Gianni Dell'Orso, "Un Uomo Dalla Pelle Dura" by Carlo Pes, and "Verso La Droga" by Sandro Brugnolini. © 1996-2019, Dusty Groove, Inc.